So what is the regulation situation? The reality is the last cosmetic-focused bill to be passed into law was in 1938. Yes, that’s not a typo. It has been nearly 80 years since a federal law was passed to regulate the cosmetics industry in the United States. The Federal Food, Drug, and Cosmetic Act of 1938 has been amended many times since its inception. The entire document has ballooned from 19 pages to 692 pages with amendments added to address pharmaceutical and food regulation; however, the cosmetics-specific section of the bill is still only one-and-a-half pages long. Why have there been no changes to the way cosmetics are regulated when food, pharma and cosmetics have all seen incredibly dramatic advancements and evolutions since the 1930s? Since then, tens of thousands of new chemical ingredients have been invented and used in cosmetic and toiletry products, but it is estimated that less than ten percent have been tested for safety. 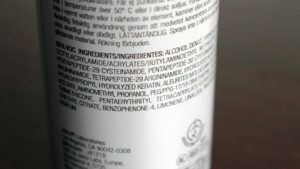 The total number of ingredients banned for use in cosmetics and toiletries in the United States was originally eleven chemicals. Last September, the FDA banned an additional 18 chemicals, including triclosan the very popular anti-bacterial soap ingredient that, ironically, caused superbugs to become stronger, among other health concerns. Conversely, our European counterparts have banned more than 1300 chemicals from personal products and cosmetics taking the precautionary approach, meaning if it hasn’t been tested for safety and there is no information on how it might affect the body, better to avoid using it. As many health experts have explained to me, the U.S. takes an innocent until proven guilty approach, meaning there has to be ample evidence to show that a chemical is hazardous before it will be banned. The FDA does not have the resources to research the thousands of chemicals on the market. Nor do they have the authority to stop companies from using chemicals already known to be hazardous, such as formaldehyde. In 2011, a leading Brazilian Blowout hair line was using Methylene Glycol in their formula. When Methylene Glycol is heated (with a blow dryer), it releases formaldehyde in the air. Stylists began getting nosebleeds, asthma and respiratory issues due to inhaling the chemical while working on clients’ hair. Since formaldehyde is a known carcinogen, one would imagine the product would be removed from shelves. Instead, the FDA sent a warning letter to the company. So where does that leave us? 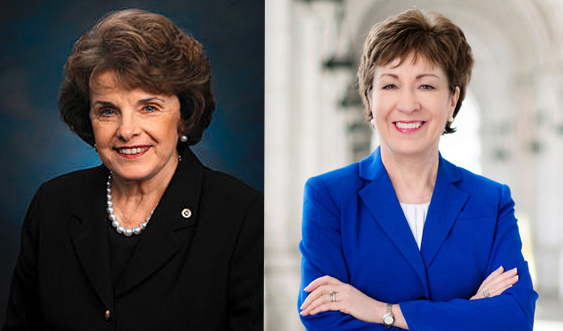 There is federal legislation proposed in the Senate by Senators Feinstein and Collins entitled the Personal Care Products Safety Act. If passed into law, this bipartisan bill would require all cosmetics companies to register with the FDA, to provide ingredient disclosure on products, and it would give the FDA power to prohibit the use of any ingredients linked to adverse health issues. In addition, the law would require the FDA to review the safety of five or more cosmetic ingredients per year to evaluate which chemicals are not safe for us. The bill was re-introduced in the Senate in May of 2017, after it was previously introduced in 2015. That earlier bill had a Senate committee hearing on it in September 2016, and that was it. The current bill marks the fourth time a personal product safety regulation has been introduced to Congress. However, due to the rapid rise in the green beauty movement over the past two years, many news outlets and advocacy groups have been calling attention to the bill and encouraging its passage. Your voice counts! You can petition your Senators and urge them to pass the law. The grassroots movement around cleaning up the beauty aisle is growing in strength every day. Together we can make a difference and ensure products contain safe ingredients. My commendation to you for an enlightening project. The information you share in the film and your own personal experiences will impress many. I wish you the best in this endeavor. Dr. Robert A. Duca, Jr. Thank you, Dr. Duca! I appreciate your kind words very much. So glad I found this (from Propel). I’ve been reading a lot lately about all the toxic chemicals etc in women’s makeup and want to find alternatives to the toxic makeup for me personally, to help make myself more healthy. I will be reading each post to this blog and hope to be able to watch the movie too, in hopes of it making a huge difference in women’s makeup! Hi Susan, thanks so much for your post! I’m so glad you found the film via Propel. Excited to have you join us on the journey of telling this important story!